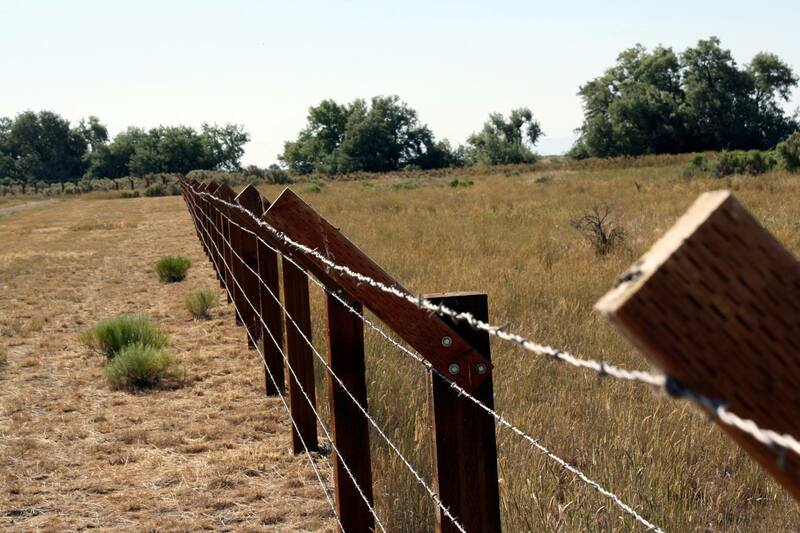 In 2010 my family moved to South Central Idaho. Shortly after we moved here we added two new regular pilgrimages to our routine of celebrating summer and Independence Day. 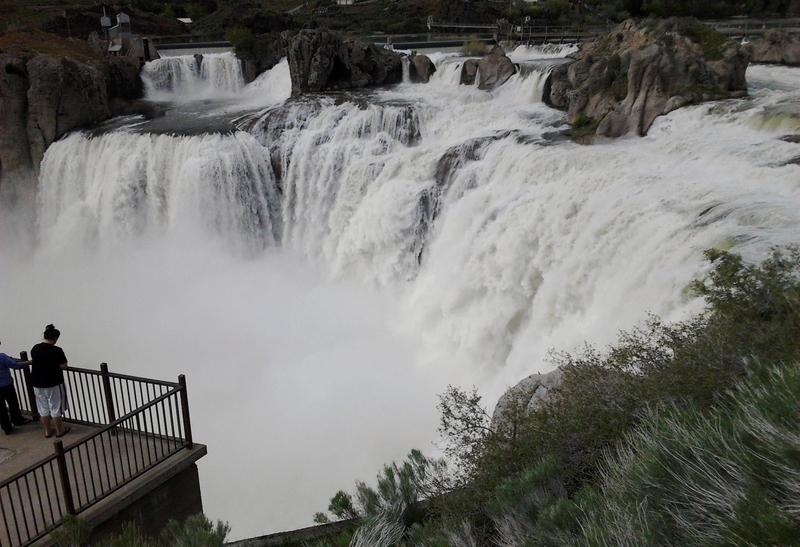 Near our home is one of United States’s scenic wonders and brightest spots, Shoshone Falls. Its beauty and power never cease to amaze or inspire me. 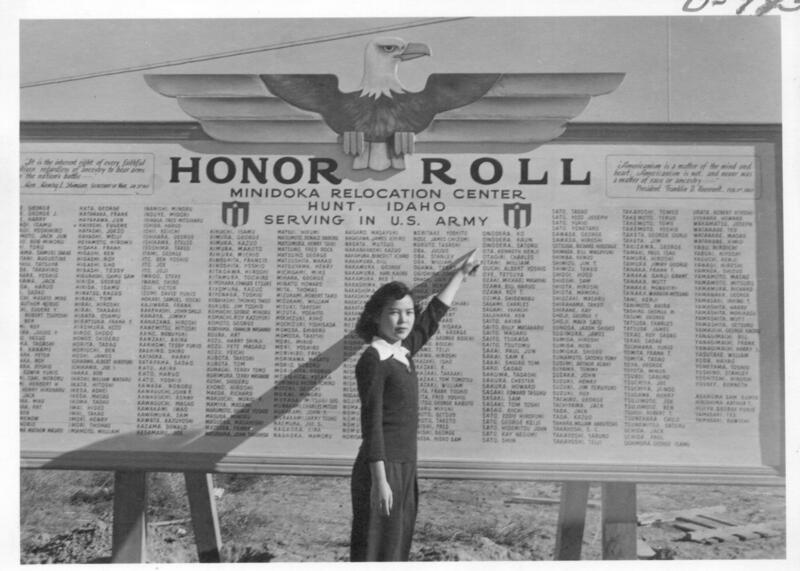 Just a few miles farther down the road are the remains of one of the United States darkest spots of shame, the remains of the Minidoka Japanese Internment camp. 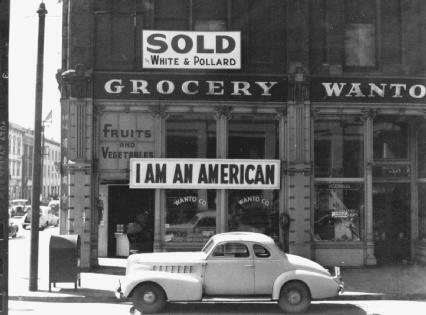 When I was a child my parents taught me that I lived in the “Land of the Free and the Home of the Brave,” they taught me to be patriotic, and to love my country. 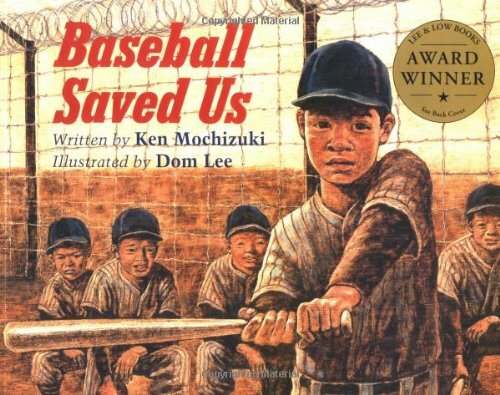 But they also taught me that being patriotic and loving my country includes acknowledging our wrongs and never forgetting those whose freedom that we have taken away. 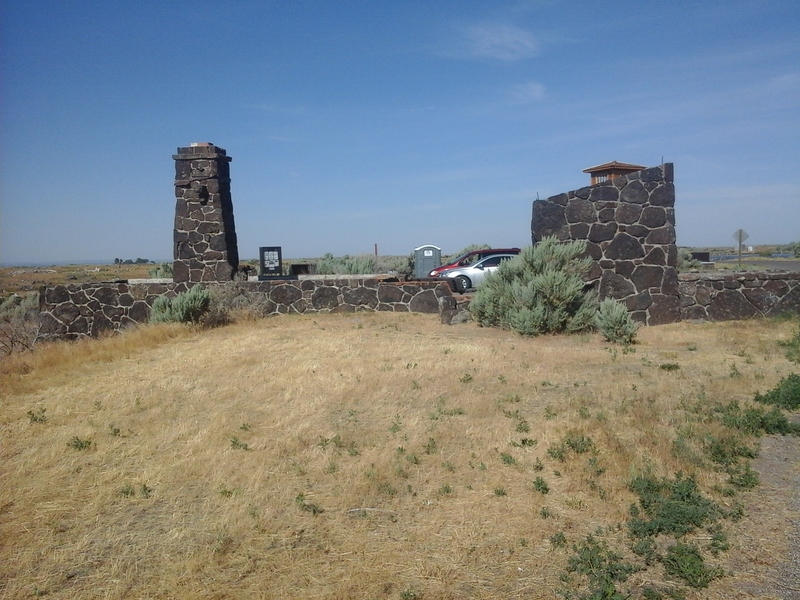 The entrance to the Minidoka Internment camp, also called the Hunt Internment camp is about a 25 minute drive from my home. 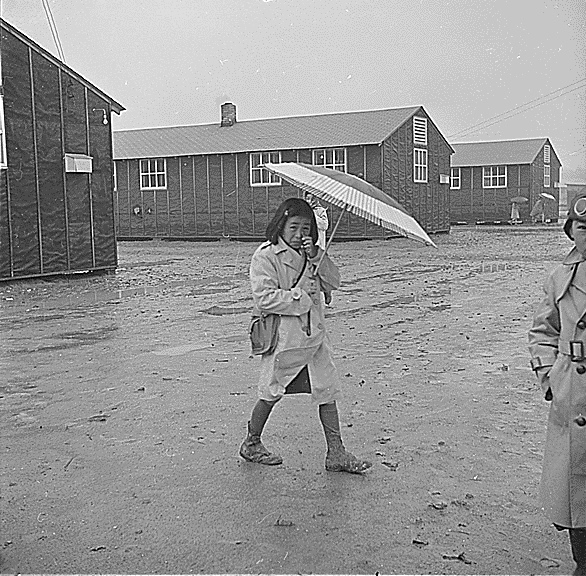 This internment Camp is just one of the sites where United States Citizens of Japanese descent living on the West Coast, were imprisoned during World War II. 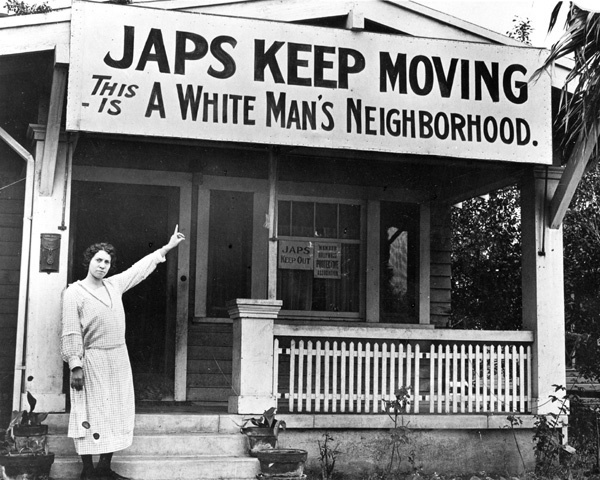 The given reason is that they might spy for or aid the enemy, but as no effort was made to mass round up people of German or Italian descent it is painfully obvious that racism was the real reason for their imprinsonment. 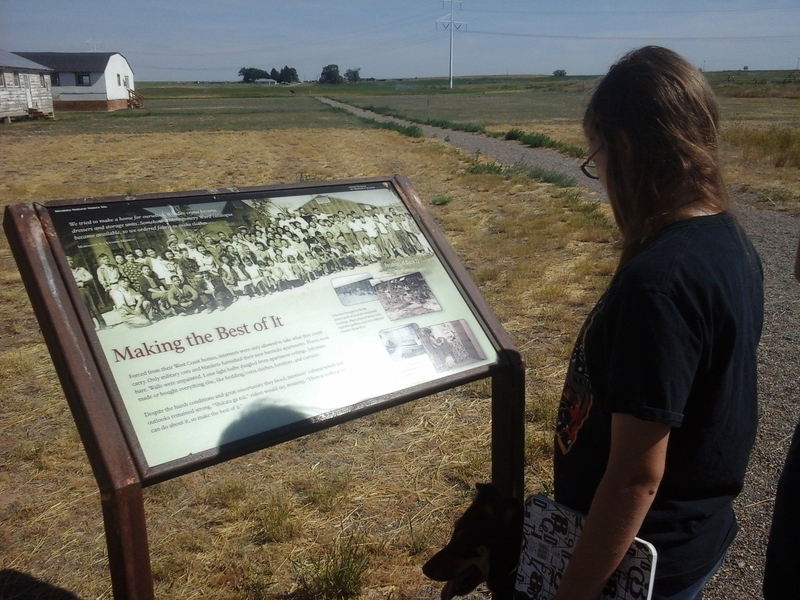 I will not attempt to tell the story or the history of the internment here. 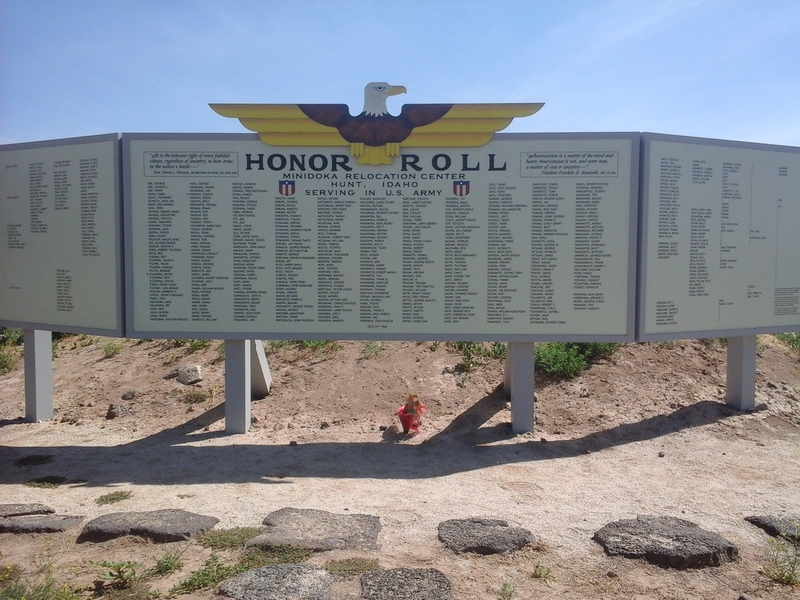 Many historians, people who lived through it, and other experts all ready have done that far better then I can. 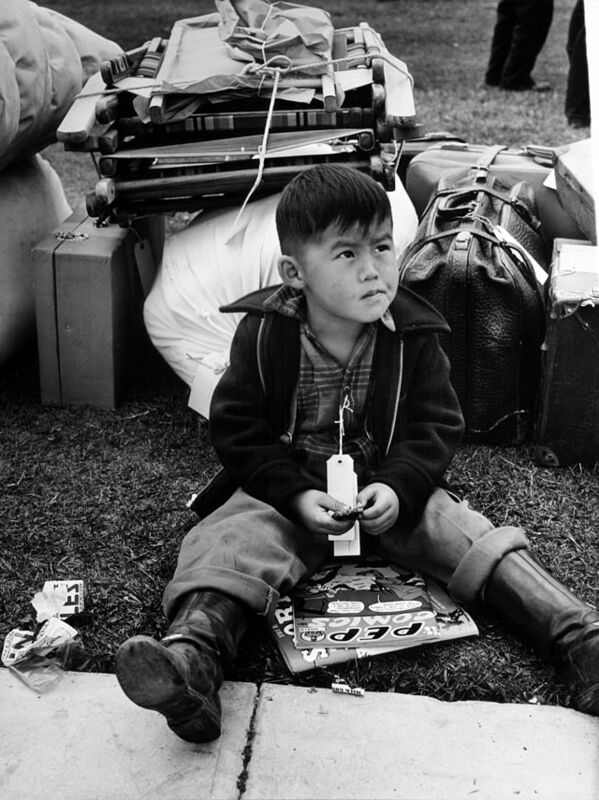 To get started I might recommend the National Park Service Website for the Minidoka camp. Here is the national archives site. 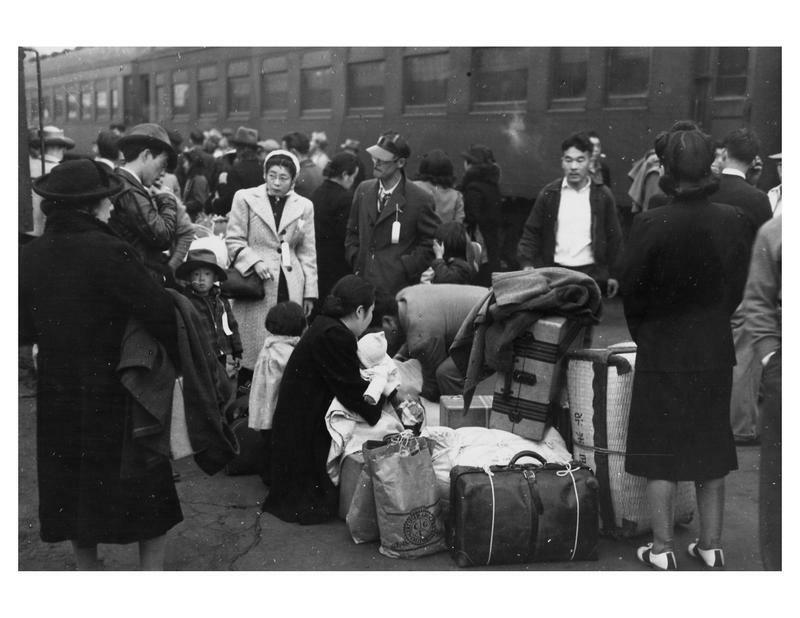 The Musical “Allegiance” has been made about the internment, Activist/actor George Takei has been very involved with this project. 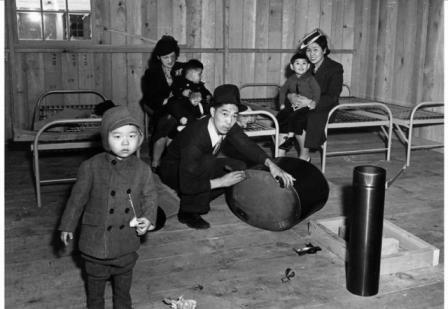 All I want to do here is share a few historic photos and some pictures taken by myself and my father, with a song and maybe a little commentary on how this relates to current events shared at the end. Before sharing the photos I wish to make one observation. Most everyone knows the famous quote by George Santayana “Those who cannot learn from history are Doomed to repeat it”. I am afraid that we are starting to repeat it. 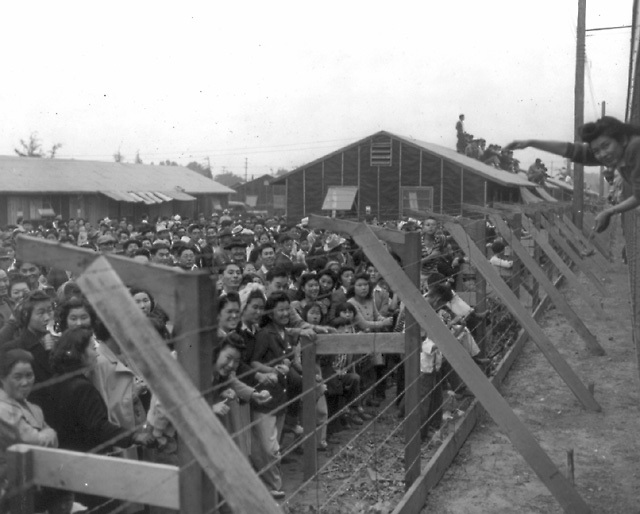 The lesson that we should have learned from our internment of loyal American citizens is that every American should be guaranteed their full civil rights all of the time. BUT we have not learned the lesson. 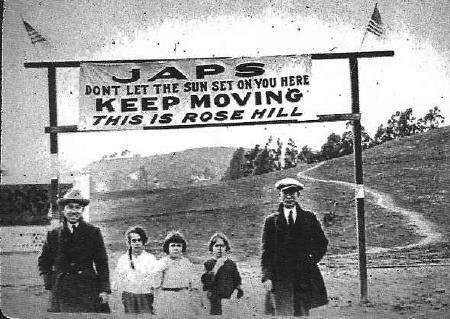 Signs once said, “No Japs” or “No Chinese” or “No Blacks”. Now the signs say “No Gays”, AND THIS HATE and EXCLUSION is LEGAL! 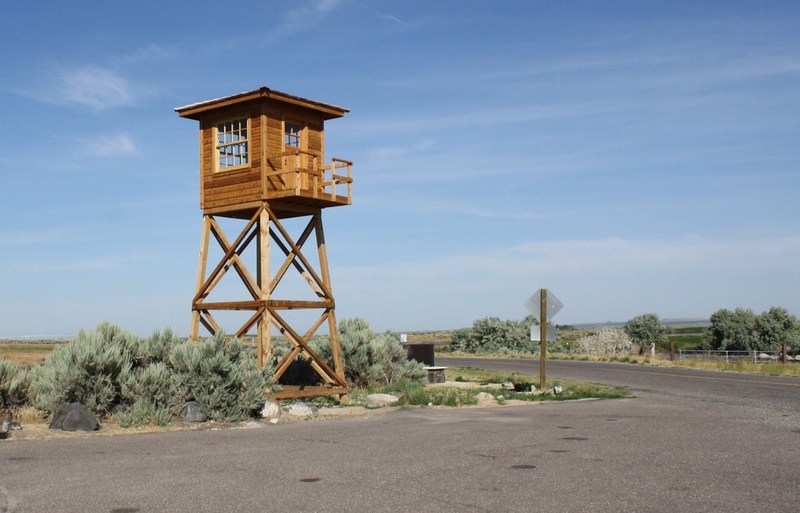 Some even want LGBTI people to be rounded up into camps. And hate filed public officials en masse are refusing to serve LGBTI people or are resigning to avoid doing their jobs and serving them. 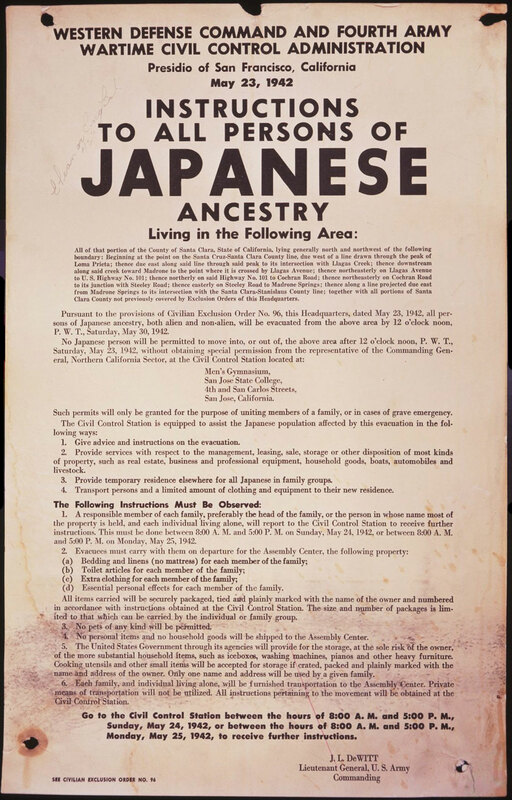 Below is the text of Executive Order 9066, that allowed for the rounding up and excluding of Japanese Americans. 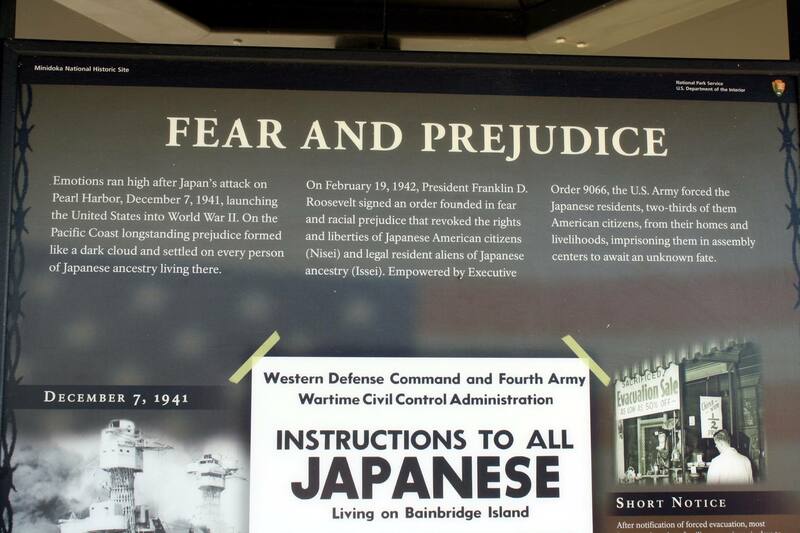 I pray that we Americans that we will learn the lessons of history and never exclude any of our fellow human beings ever again. 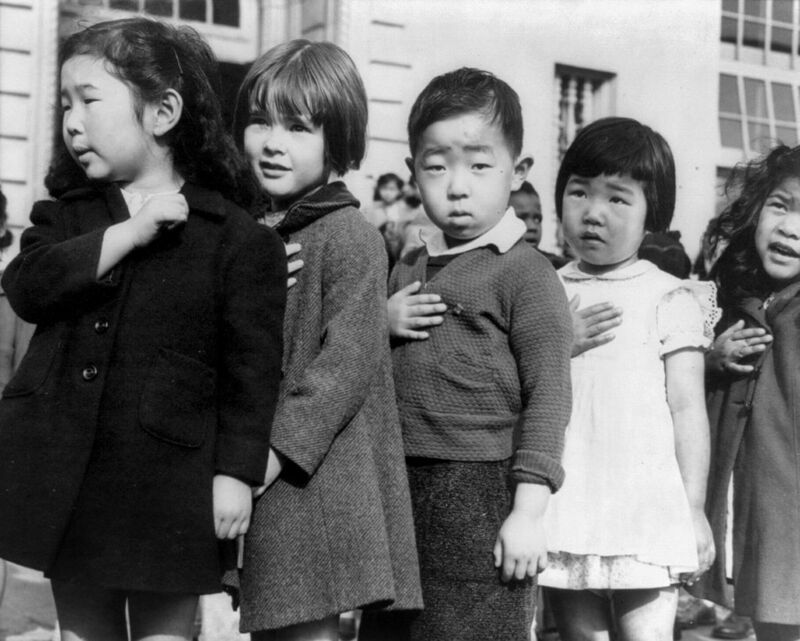 Japanese children pledging allegiance, for all the good it did. I will share modern photos of the living quarters below. 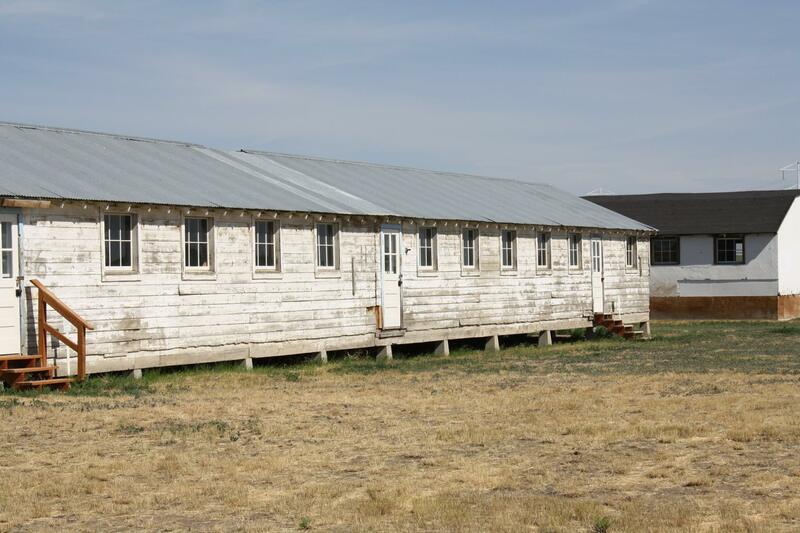 The barracks were about the width of a “Single Wide” Mobile Home and not quite twice as long. 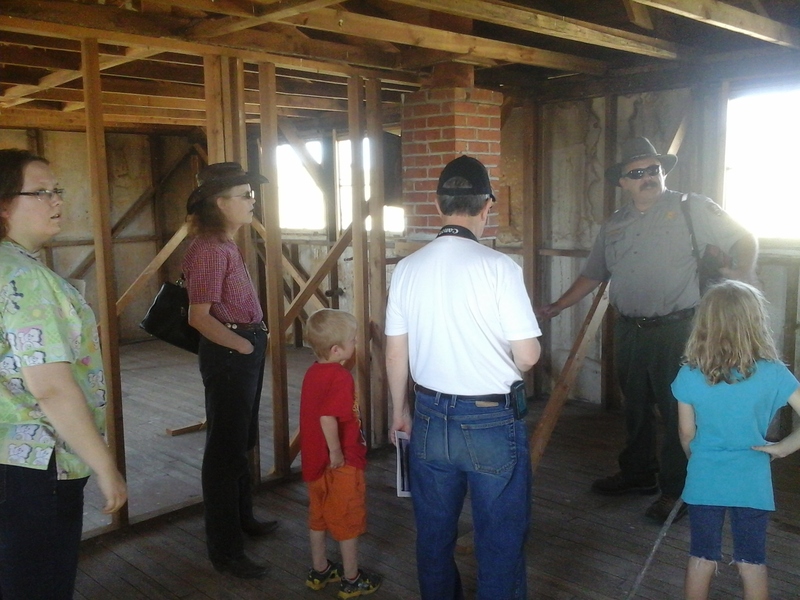 As many as 16 families were put into each unit. Our guide told us that the dust and mud were so bad that showers were almost pointless. For people for whom cleanliness and dignity were very important, this was a big thing. 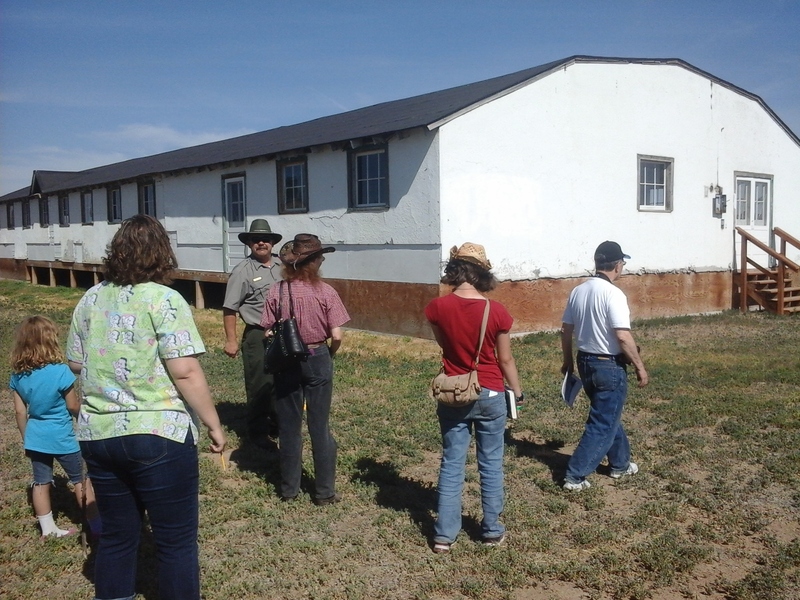 Our guide also told us that in the winter the internees would wait for the ground to freeze before showering so that they would at least stay somewhat clean. 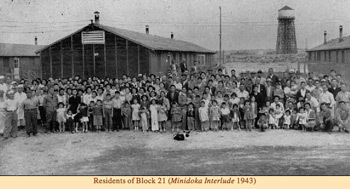 The Minidoka Camp had a swimming hole and seven baseball diamonds, they tried to make prison life as normal as possible. 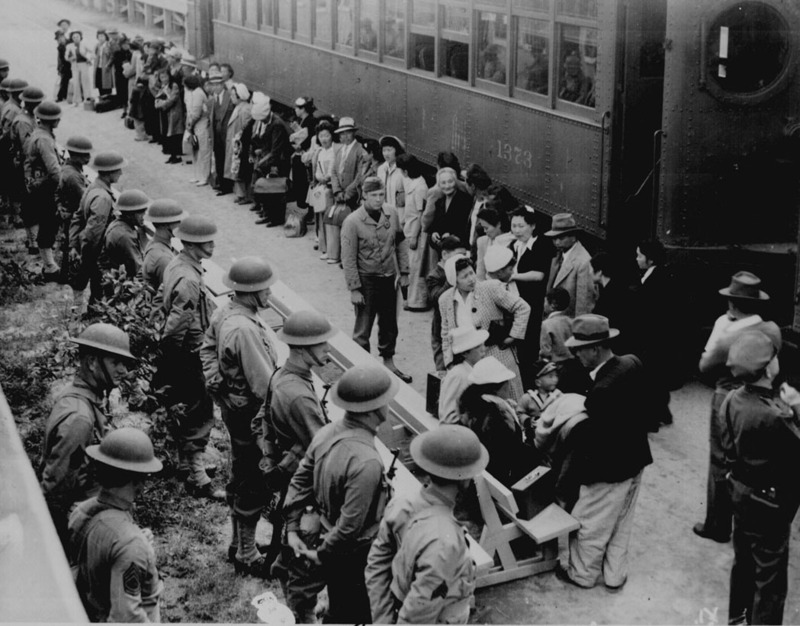 Those internees who would sign a loyalty oath could leave the camps to work BUT they had to return each night, they could only legally earn as much as an Army Private no matter how skilled they were, and they faced much prejudice. We visited the town of Rupert one evening to purchase some of our personal items, and we met with so much prejudice we never returned again. 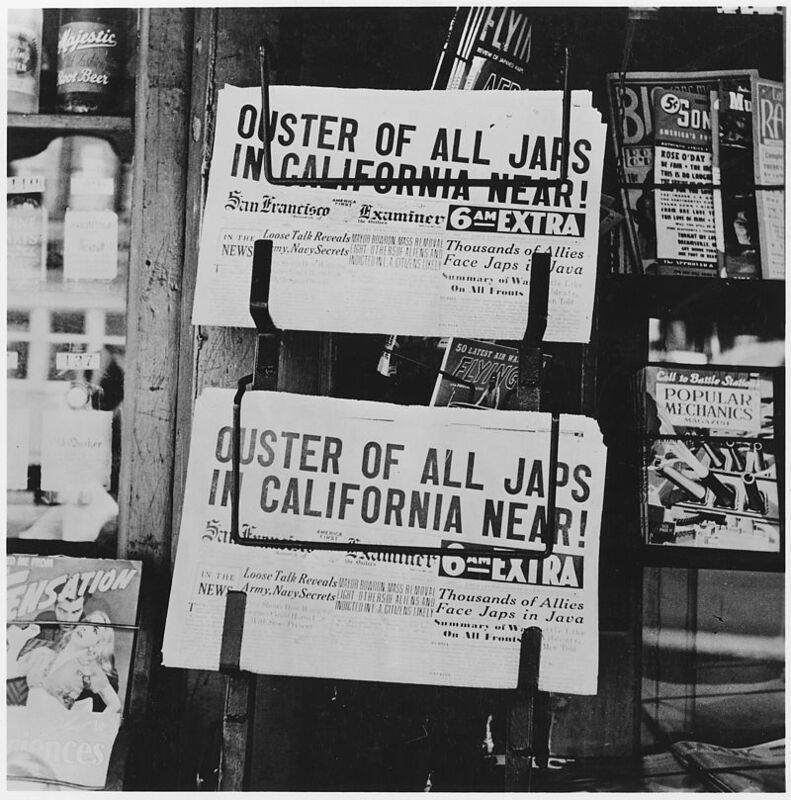 We were so disappointed that so many of the store fronts had signs, “Japs Keep Out.” (Cassia County, Idaho: The Foundation Years p. 195). They’ve strung out wires all the way around. 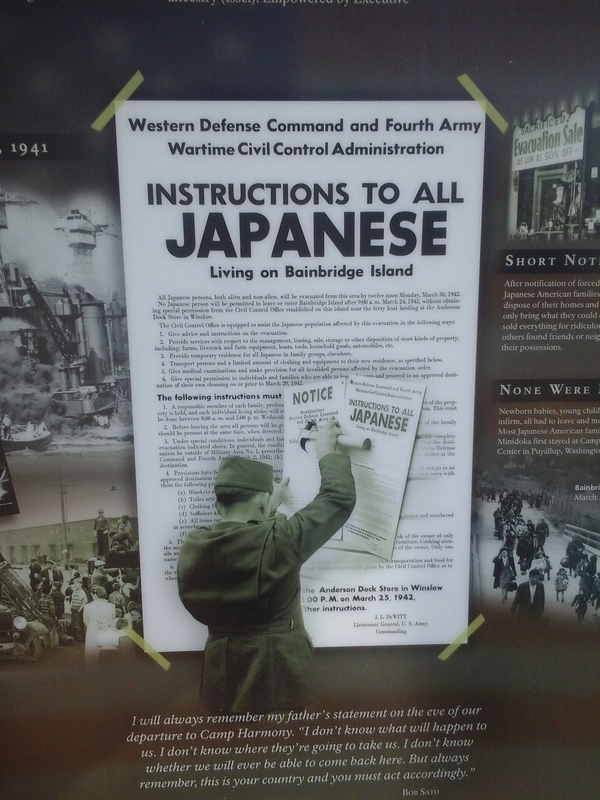 But we’re here because we happen to be Japs. 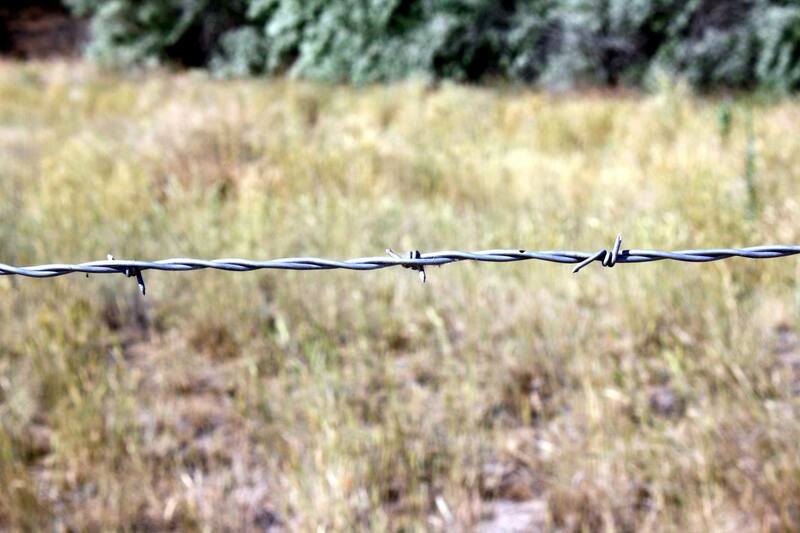 Is someone’s notion of NATIONAL DEFENCE! 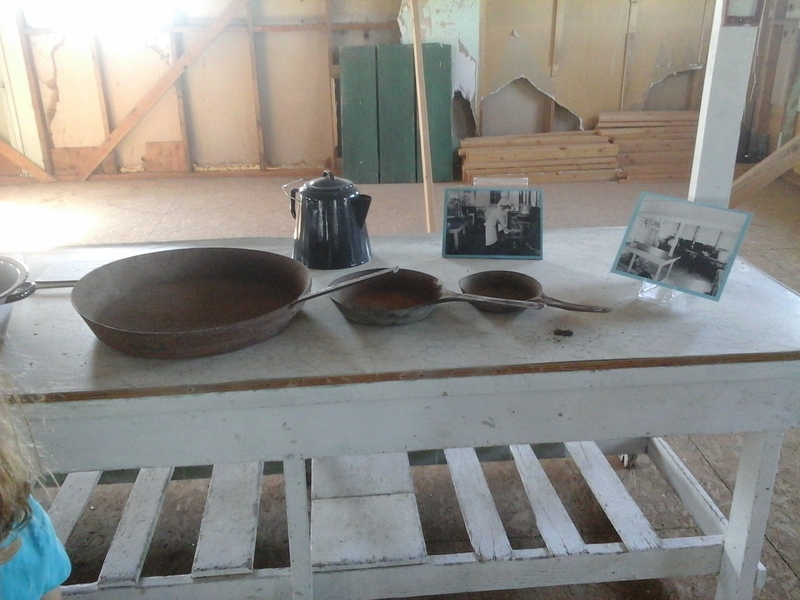 Some Historic shots of the Residential units. 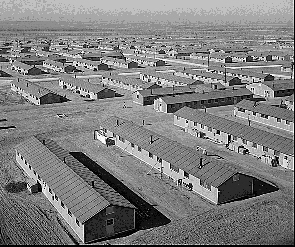 The Internees worked hard to make the camps their homes. When the war ended some wanted to stay. They were again forced out. 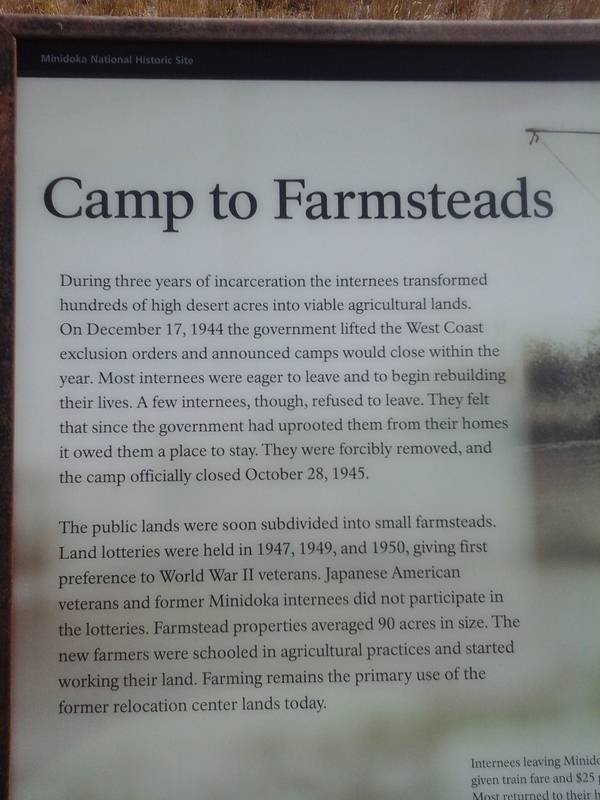 The land was subdivided and WW II veterans were awarded lots to give them the land for farms. 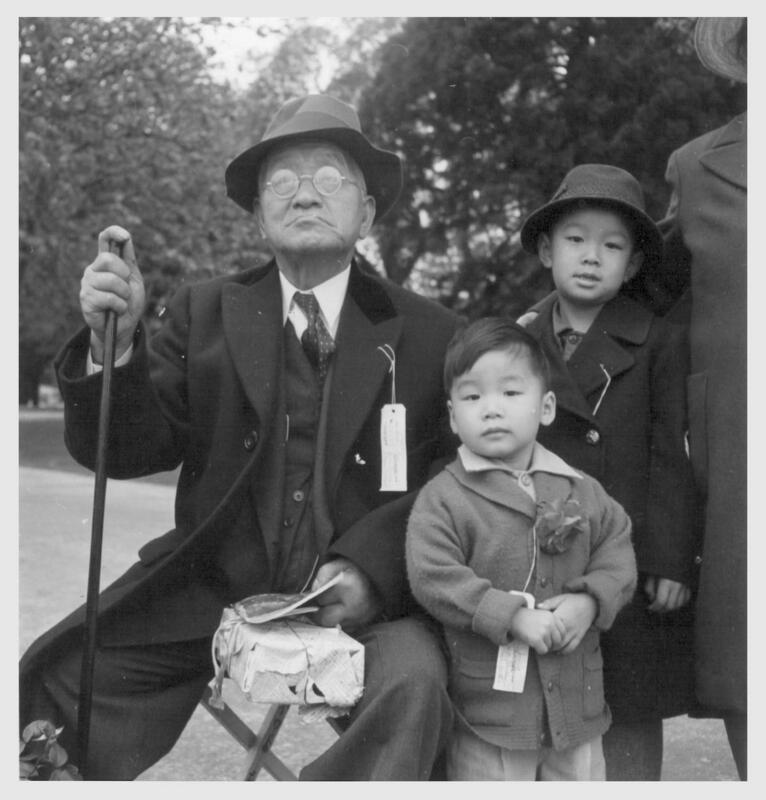 WW II veterans of Japanese decent, whose families lived in the camps, were excluded from these drawings. Once again “emotions are high” but we must never give into prejudice ever again.